Cruising in the winter sounds beautiful! 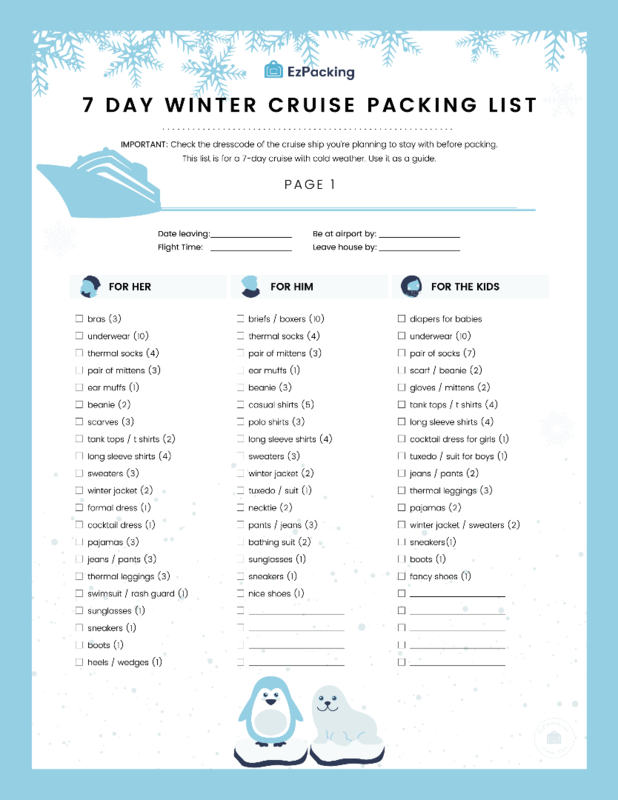 Download this free packing list as a guide and feel great when checking everything off the list! It includes everything -- medicine, entertainment, how many sweaters to bring and all other essentials.